The Bundt cake pan was trademarked in 1950 by the founder of Nordic Ware, and similar pans by other manufacturers are often called "fluted tube pans." These cakes, ranging from rich pound cakes to simple cake mix creations, may be baked in a Bundt cake pan or tube cake pan. Take care to get all the nooks and crannies when you grease and flour a Bundt cake pan. If you're icing a Bundt or tube cake, place a sheet of foil, parchment paper, or waxed paper on the countertop and place the cake rack on it. You'll have less mess and will find it easier to reuse the drips. 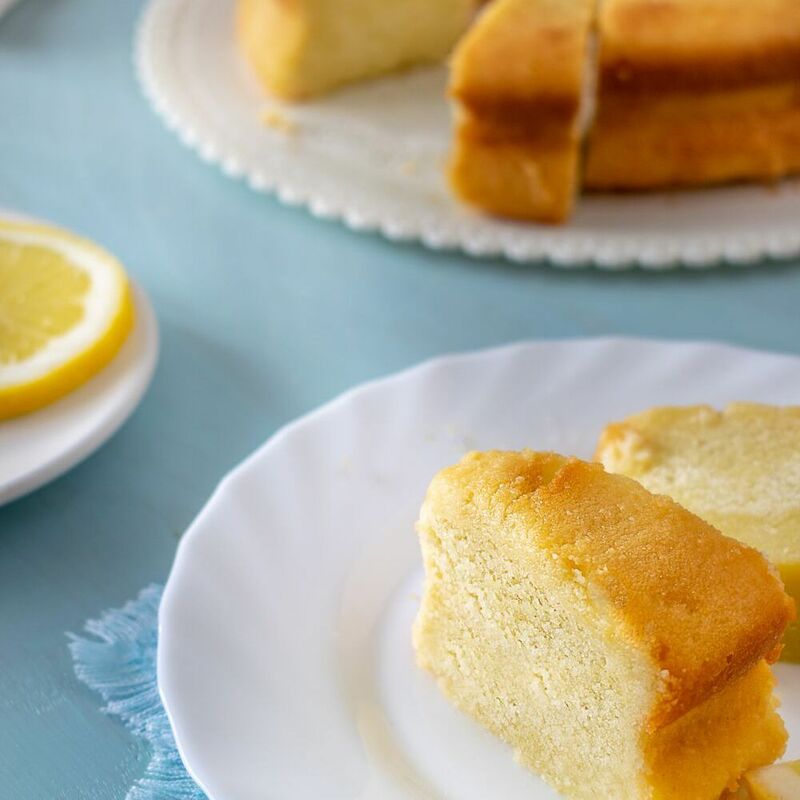 This lemon pound cake is super moist because it's soaked with sweet lemon syrup. Pound cakes rely on the air you beat in for their rise. Cream butter and sugar for at least 4 to 5 minutes before adding other ingredients. And don't overbeat after adding the remaining ingredients. This delicious blueberry cake is made super easy with a cake mix and canned drained blueberries. Serve the cake with ​a lemon dessert sauce. This is truly a chocolate lover's dream cake. The cake is finished with an amazing dark chocolate ganache. This moist cake is made with brown sugar and ricotta cheese. The browned butter icing is the perfect finishing touch. 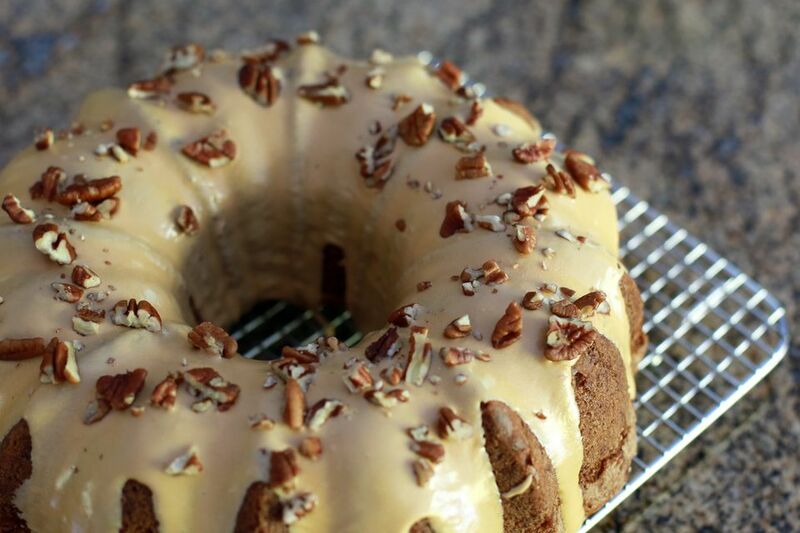 Bake the cake in a Bundt cake pan or tube cake pan. This blueberry bundt cake is made from scratch, but it's easier than you might think. The cake can be iced with a simple vanilla icing or dust it with sifted powdered sugar. This moist pumpkin bread is filled with raisins and walnuts (or pecans if you prefer), but feel free to leave the raisins out or substitute dried cranberries. The key to the rich dark color is the dark muscovado sugar. It is a moist and delicious cake. Dust the cake with powdered sugar or drizzle a simple glaze over the top. Pina colada mix, coconut pudding mix, and a cake mix make this cake spectacular and easy. This basic chocolate pound cake gets fabulous texture from the sour cream. Dust it with powdered sugar or drizzle chocolate ganache or warm preserves over servings. This lemon pound cake is surprisingly easy to make with a cake mix, sour cream, and butter. Fresh lemon juice and zest flavor this fabulous Bundt cake. The cake is finished with a simple lemon glaze. Dried lavender buds are the surprise ingredient in this delicious lemon Bundt cake and the icing. This apple cake is moist and loaded with chopped apples and pecans or walnuts. We've added a simple caramel glaze to the cake. Don't wait for the Fourth of July to enjoy this bright and delicious cake. Fresh raspberries and blueberries add color, flavor, and texture to this fabulous cake. This cake is an excellent choice for dessert or a coffee get-together. This pineapple cake is made with a cake mix, cream cheese, and crushed pineapple. This classic white cake has a fantastic texture. The included chocolate glaze is an excellent choice, but feel free to use another glaze or frosting. Cocoa and cinnamon give this homemade chocolate zucchini cake amazing flavor, and the zucchini and pecans add texture and moisture. This festive cake is made with commercial eggnog, a cake mix, and some rum, or leave the rum out altogether and use some rum flavoring. This cake mix blueberry cake is made with yogurt, making it wonderfully moist. Orange juice concentrate and frozen blueberries add to the flavor and texture of this easy cake. This fig cake is made with almonds, spices, and fresh figs. Orange juice is added for moisture and flavor. One reader wrote that she replaced some of the orange juice with a bit of brandy. This old-fashioned fig cake is made with fig preserves and a buttery caramel glaze. Feel free to use this vanilla icing if you'd like. This cake gets its name from the ingredient quantities: 1 cup of butter, 2 cups of sugar, 3 cups of flour, and 4 eggs. Make this cake a few times and you won't need to look at the recipe! This cake mix chocolate cake is made with raspberry jam and some optional raspberry liqueur.